"Love is like a loop, even tangled chances… This is for us to decipher." 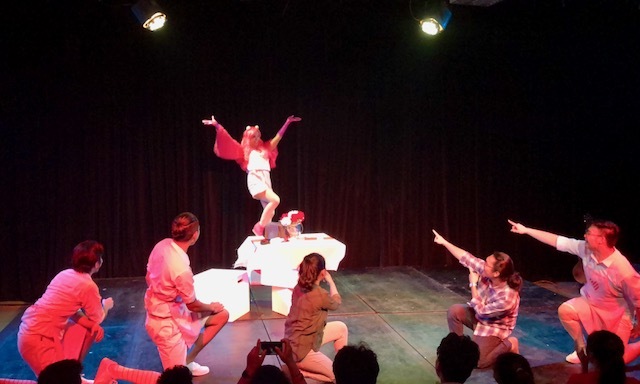 This love month, Yugto Theater Ensemble's (YTE) latest offering entitled "DATING STRANGER" will be joining Fringe Manila 2018 in celebration of the national arts month. 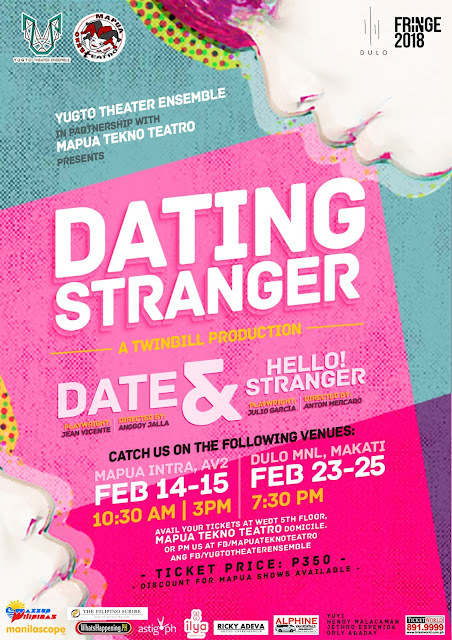 “Dating Stranger” is a twin bill production in collaboration with Mapua Tekno Teatro (MT2). The twin bill production's title can be read in two ways, in english as “Dating a stranger” and in filipino tag-lish “’Dating’ stranger” meaning “Formerly a stranger”. 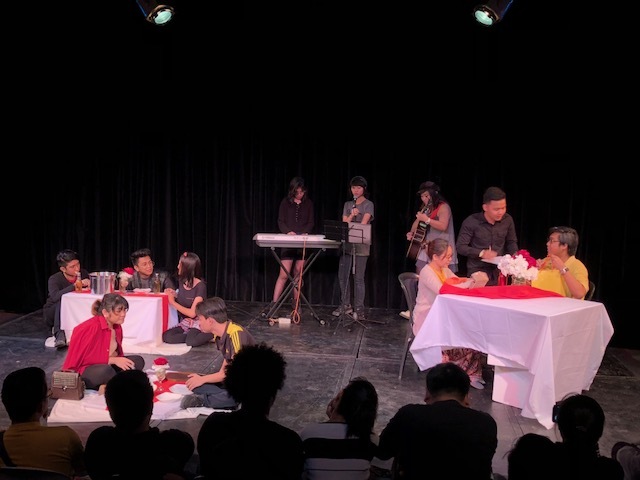 This production showcases, MT2 Dramafest17’s multi-awarded play “Date”, and YTE’s “Hello Stranger”. This twinbill production aims to showcase the complexity of love in two different scenarios. It shows two different perspective depicting how and why people choose to stay or to let go. Everything still boils down to love. "February 14 is definitely a remarkable date for Jen and Jed. They first met in a restaurant during Valentines day and their anniversary also falls on that date. It has been their tradition, more like a ritual frankly, to celebrate their “First-Day-of- Meeting” Valentines day/anniversary in the only restaurant that they love. For the third time, they will eat and reminisce their memories. For the second time, some-one is not making new memories. For the first time, someone will stop—maybe." "Two old friends, Tupe and Pat, attends a ‘love mixer’ event. During the event, the two shared laughter about their memories. They had drinks and played games facilitated by the event’s host. As the event progressed though, little by little, their past mistakes unravels that will prompt them to suddenly decide whether they should stay as friends or just be strangers."